Do I need to tell you how wonderful this was? We gobbled it down in no time. Although I think I got a tad carried away with the whipped cream in this photo! Put oven rack in middle position and preheat oven to 400°F. Butter a 10-inch glass or ceramic pie plate or a 2 1/2-quart oval gratin dish and chill. Toss rhubarb with brown sugar in a bowl until coated. Whisk together flour, baking powder, and 1/2 cup granulated sugar in a large bowl until combined well. 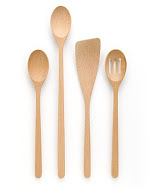 Blend in butter with a pastry blender or your fingertips until mixture resembles coarse meal. Whisk together milk, whole egg, and yolk. Make a well in center of flour mixture and add milk mixture, stirring with a wooden spoon to gradually incorporate flour and form a soft, sticky dough. Transfer half of dough to chilled pie plate and pat out over bottom and halfway up side with well-floured hands, then spoon rhubarb and any juices onto dough. Using a tablespoon, spoon remaining dough in small mounds evenly over top. Lightly beat egg white with a few drops of water, then lightly brush cake with egg wash. Sprinkle remaining 2 tablespoons granulated sugar over top. 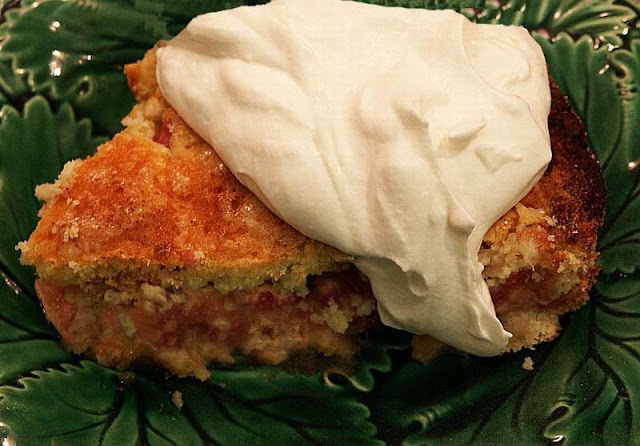 Bake cake until top crust is golden and rhubarb is tender, 30 to 40 minutes. Transfer to a rack to cool, about 30 minutes. Serve cake warm or at room temperature. Hi Barbara, first of all you can never get carried away withtoo much whip cream. Such a beautiful cake, I could eat this anytime of day. What a yummy-sounding cake! 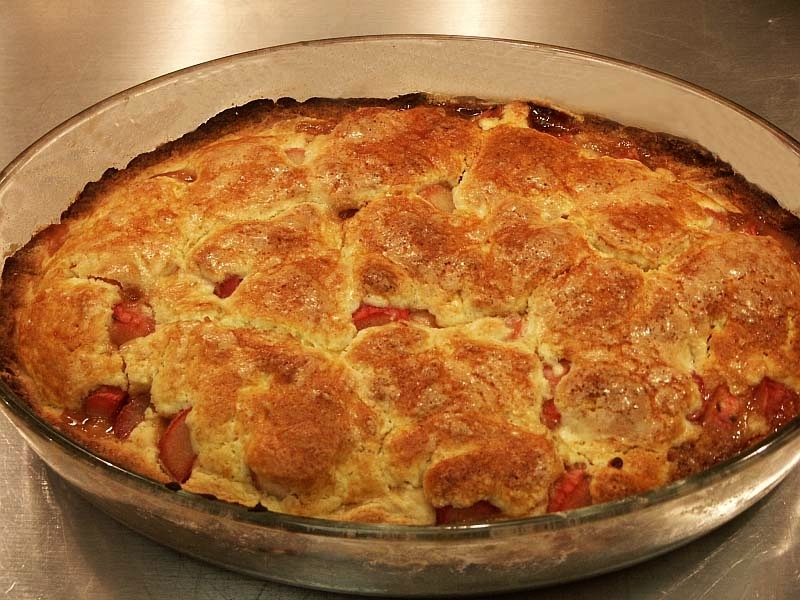 I barely ever bake/cook with rhubarb, but I always say I want to change that!! Heavenly! I can't wait for the rhubarb season to start. Still haven't seen rhubarb in the market yet...this looks fantastic! Mom has a very similar recipe - family favourite for years. I'll have to try yours! Mmmmm! Rhubarb cakes are some of our fvaorites..can't wait to see it poke up! Makes me want to find some rhubarb! Looks delicious Barbara. Hope the cooler weather hasn't gotten down your way. We are freezing in N. Florida. No such thing as too much whipped cream! I realized that I didn't cook with rhubarb last year--not even once. It's not always easy to find here. But, I have to find some this year. What a great-looking cake! Unfortunately, since rhubarb is not sold here I won't be able to try any of these delicious tarts or cakes like this one! I am so curious! It's been quite an adventure! Many thanks to Mary from One Perfect Bite for hosting. Val from More Than Burnt Toast has kept track of all the recipes and participants. Please click on the following if you'd like to review the recipes. Thank you so much for following me. I appreciate each and every one of you! Due to total incompetence on my part, I've lost most of my old post photos. If you see a recipe and want the photo, email me. I've got them all on a disk.